David West was appointed to Council to fill a vacancy in December 2013 and was later elected to his first full term of council in 2014 and re-elected in 2018. David has proudly called Richmond Hill home for the majority of his life. He has got to know many people through operating his business West Photo. David firmly believes the goal of a strong and vibrant community will only be achieved through community involvement. 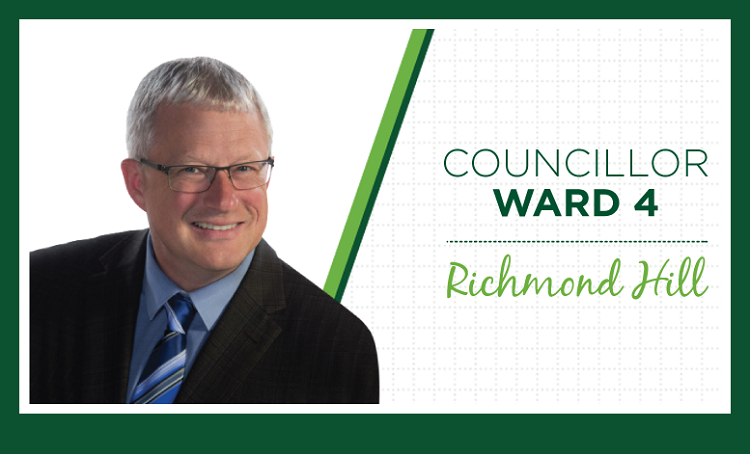 How Council responds to all of these issues will shape Richmond Hill in the years to come so it is crucial that we get these decisions “right”. David continues to strive to make Richmond Hill the best community it can be for his fellow citizens. He firmly believes it is an honour and privilege to serve his community and to work in collaboration with residents to accomplish the community’s goals. David strives to keep in touch with his community including sending out a regular newsletter. Please email David at [email protected] to receive these valuable updates.